I really need to spin these anime posts off into a separate blog again. 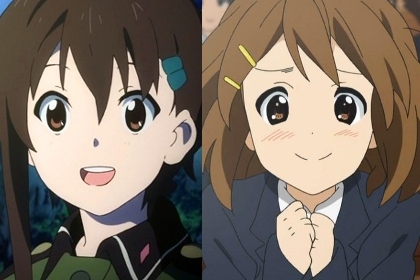 There's some debate that not only Sorami Kanata and Hirasawa Yui are the same character but they're comparable in awesomeness. I'm going to get into trouble from the increasingly vocal anti-moe taskforce for saying this, but while I enjoyed the few So-Ra-No-Wo-To episodes I saw and while I do think the trumpet is an awesome instrument (especially if used in jazz), Yui is still the Queen. I'm right… right? Newer post ← Host multiple blogs with default WordPress?